It might be tempting to think that on-boarding new employees is all about insurance forms, office tours and parking passes. Or, you might think it's synonymous with training. But the truth is, knowing how to do on-boarding right is so much more than the sum of it's parts, and it's also the key to ensuring you have an engaged, inspired workforce. Here is a timeline to insure that your new hire not only gets "on-board" with your company, but that they become a long-lasting, successful member of your team. On-boarding begins long before a new employee signs their deal. In fact it begins before they arrive for their first interview. By taking the necessary steps to ensure that your interviewing and hiring processes are fluid, responsive and timely you're sending a clear message that you care about your employees and are dedicated to creating a healthy and engaging work experience for them. And then it goes further into how you handle the negotiation of terms. Once again being responsive is key - no one wants to be left hanging or put on an extended hold, especially when their career is on the line. Transparent negotiation tactics and clarity send the clear message that you are invested in the candidates future and their long-term success. Once the offer is made, the deal closed and the start date set, is when the active phase begins. 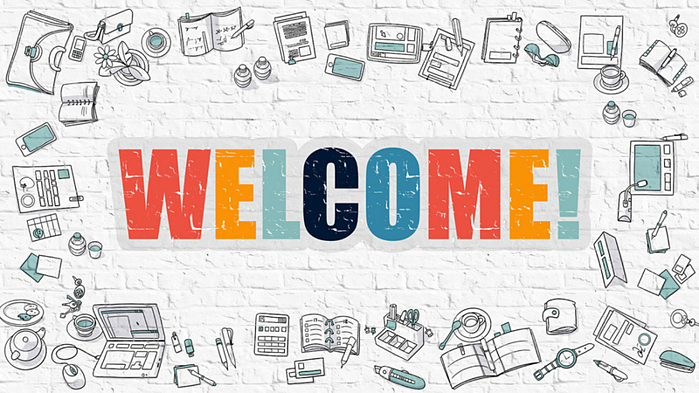 Now it's time for the manager to reach out to your new hire with a friendly welcome and a letter clearly specifying the job objectives, expectations and strategies. They could also include package of suggested reading, a run-down of equipment used or even a big-picture view of how the team operates. What's important is to open the channels of communication so that the new hire feels part of the team before they arrive for day one. Regardless of the business at hand on day one (paperwork, insurance cards, key card, id photo session etc...) your responsibility is to be prepared and ready for your new employee's arrival. Secure the proper building passes, alert the receptionist, make sure that the direct manager is in the office early, have all the necessary paperwork ready, and above all have a work station/office prepared, cleaned and ready to be occupied. There's no worse feeling than arriving for your first day of work, a stranger in a strange land, and having no place to sit, no one to guide you and nothing to do! Many companies utilize a mentor system for the first days and weeks, and we think it's a wise tactic. Even senior level executives need someone to touch base with regarding protocol and methods - appointing someone who is in either a parallel or senior role to be a touchstone not only smooths the way for your new hire, but it also helps to reinforce training, foster relationships and cooperation. When someone leaves the office at the end of their first day at a new job, and are asked "How'd it go?" the only answer you want them to tender is "Great!" Your job is to make certain you've done all you can to ensure that's the answer they give. The first week is a time for your new hire to adjust to all the social and performance aspects of their job. Necessary training on everything from software to how to operate the espresso machine is taking place. But above all that they should be finding their feet socially now. If you've fostered a company culture in which employees of all levels, from C-level to the support staff feel like they are part of the team, then they will be extending a warm welcome to the new player. A warm handshake, an invitation to lunch, even just a friendly introduction are key to helping the new hire "buy-in" to your company. It's also during the first week that HR or the manager needs to make the review process known. By offering frequent check-ins and a schedule of formalized reviews (30 days, 60 days and 90 days), you are sending the clear message that you are invested in the individuals success. Remember: Investment builds retention, not compensation! While the new employee will likely have begun to find their feet at this point, it's important to keep some of the welcoming structures in place. The Mentor relationships works best when it's ongoing and ever-evolving. At this point its not only serving to foster relationships and job clarity, but it also increases productivity and innovation. The 90 review is an important tool for both employee and employer. Conducted one-on-one with direct supervisor, and/or team leaders this is the time to see what working, and what's not. Not only are you reviewing their performance, but you must be open to hearing from them what's working for them, and what could have gone better. If the channels of communication have been open and available, there shouldn't be any surprises during this meeting, and if there are, then it's time to go back and review your process. Taking care to handle on-boarding properly and thoughtfully, you are sending a clear message that you are invested in your employees happiness. And as we know, happy employees are more innovative, more loyal and perform better than workers who are just in it for the paycheck.